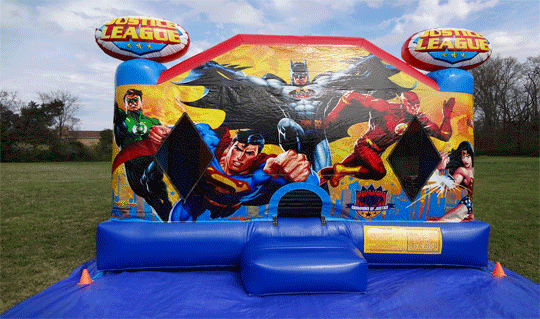 The Justice League Bounce House features Batman, Superman, Wonder Woman, and more. This is the ultimate superhero Bounce House. Book it today.